NOTE: You may notice this episode was recorded more than a week ago. It would have reached your ears sooner had one-half of the podcast not almost died. You’ll almost certainly be hearing about that next time. Gobbledygeek episode 157, “This Podcast Is Clean (feat. Valerie Clark),” is available for listening or download right here, and on iTunes here. It’s late. Your dad’s asleep in his chair. The national anthem plays. Static blares from your TV set. You place your hands on the screen, lean in close, and are confronted with the most nightmarish vision possible…the new episode of Gobbledygeek! Scary, I know. 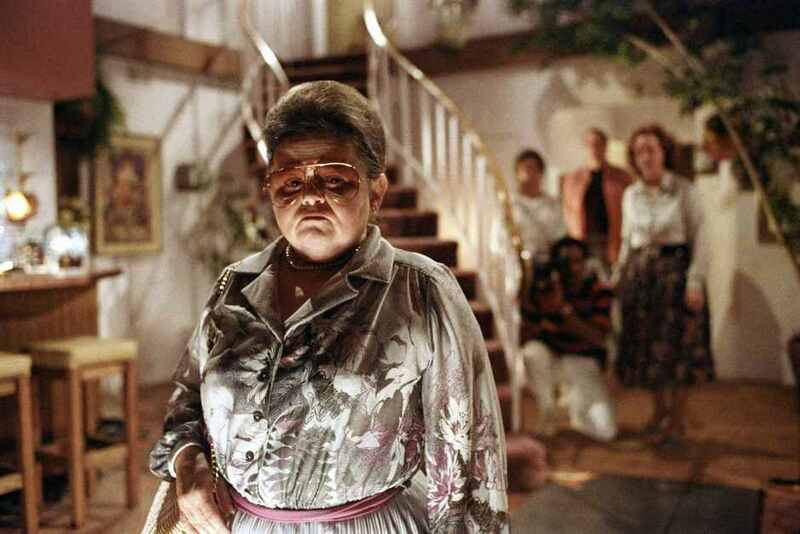 Paul and AJ kick off the month of horror that is known as Gobbledyween with a look back at Tobe Hooper’s 1982 classic Poltergeist, joined by long-time friend of the show Valerie Clark in her first (1st!) appearance. Does the movie hold up? Did Hooper really direct it, or was it all writer/executive producer Steven Spielberg? Is the film really one long treatise on Reagan-era values versus traditionalism? Are the characters’ food habits the most disturbing thing about the movie? All these questions and more will be answered! Plus, the gang talks Agents of S.H.I.E.L.D. Next: Gobbledyween continues to terrify, as the putrid Eric Sipple returns to chat Peter Jackson’s The Frighteners. This entry was posted in Shameless Self-Promotion and tagged agents of shield, craig t nelson, film, gobbledygeek, gobbledyween, horror, itunes, jobeth williams, joss whedon, libsyn, movies, podcast, poltergeist, sci-fi, science fiction, steven spielberg, television, tobe hooper, tv, zelda rubinstein. Bookmark the permalink.